Toyota appears ready to and SUVs in years. Speaking to at the State Fair of Texas, group vice president of marketing, Ed Laukes, stated that Toyota’s trucks and SUVs will, within the next few years, undergo some big changes, instead of just new sheetmetal. “We are working on (updates to our body-on-frame platforms) right now. To continue to be able to address that, we have to work on upgrades. Let’s face it, the competition is getting stronger and stronger. Things like the (Ford) Ranger coming back. We have to be able to address that. The Tacoma was completely redone. 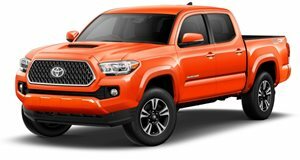 But 4Runner, Sequoia, Tundra…those are being worked on as we speak.” Speaking of the Tacoma, the 2016 model received a number of upgrades, such as a redesigned exterior and interior, new 3.5-liter V6 and six-speed automatic, and more high-strength steel in its frame. However, its basic underpinnings are still the same and those date back several years. Fortunately for Toyota, the Tacoma can keep on trucking it (pun intended) for the next few years, but the new Ranger may ultimately force a more drastic redesign sooner than Toyota would prefer. Going back to Toyota’s full-size trucks and SUVs, the last time the Tundra was updated was in 2014, the . The Sequoia, however, will receive a refresh for 2018. Consider that sort of a stop-gap measure until a true redesign arrives. Speaking of which, Laukes also wouldn’t rule out the possibility of a hybrid pickup/SUV in the coming years. “There’s absolutely no reason we couldn’t have a hybrid truck,” he said. “All those options, we’re exploring. 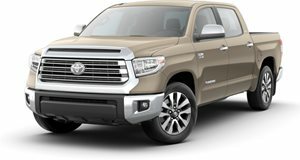 When you’re trying to raise (corporate average fuel economy) limits for the entire brand, there’s no option that isn’t on the table.” Laukes didn’t mention which truck/SUV could receive the hybrid treatment, only that the Tacoma will soon receive an engine upgrade to remain competitive.